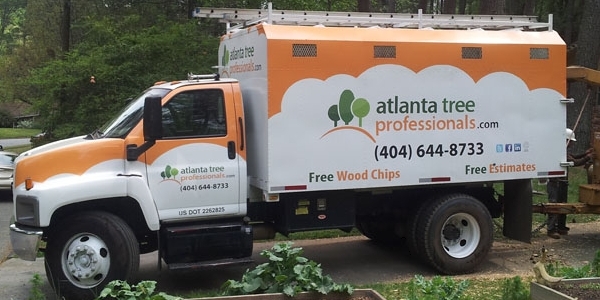 For the best in tree service Atlanta has to offer, call Atlanta Tree Professionals (ATP). Our staff is experienced and dedicated to serving homeowners and commercial property owners alike. And with our experience, coupled with our professionalism, we actively work to be the best tree company in Atlanta to serve you. As you can imagine, cutting down branches or trees can be dangerous. At ATP, we have both the experience and the skill to make sure that trees are always removed safely from your property. We are a fully insured company. We are also active members of the International Society of Arboriculture, which means we are keeping up with all the latest arboriculture (the study of trees, shrubs and vines) news and education. At ATP, we understand that a fallen (or a falling) tree is not a matter to take lightly. We are ready to make sure the job is done efficiently so that no further damage is done to your home or business. We make sure that our cranes, trucks, and equipment are the most well-maintained to safely and quickly remove fallen trees. Knowing that a professional tree removal company is going to answer your call is pertinent in a tree emergency, so we promise to answer and help you as quick as we can. 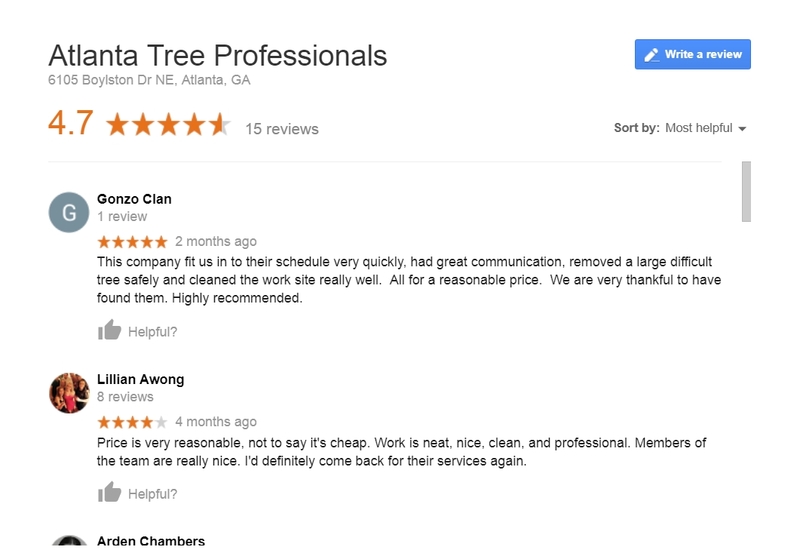 The staff at Atlanta Tree Professionals is dedicated to bringing you quality service each and every time we do work at your home and/or business. We consider ourselves, not just “guys that cut down trees,” but foresters that guide and help homeowners with the trees and nature that they have. If it means cutting down part or all of a tree, we’ll do that, but if there is a better solution, we’ll help find one. And no matter what solution you choose, we promise to do the job well and to your satisfaction. Are We the Best Tree Company in Atlanta? A few reviews from our customers may offer some guidance! If you have any questions about keeping your trees healthy, please call the Atlanta Tree Professionals. We are your local experts for tree service in north metro Atlanta, working to be the best tree company in Atlanta everyday.